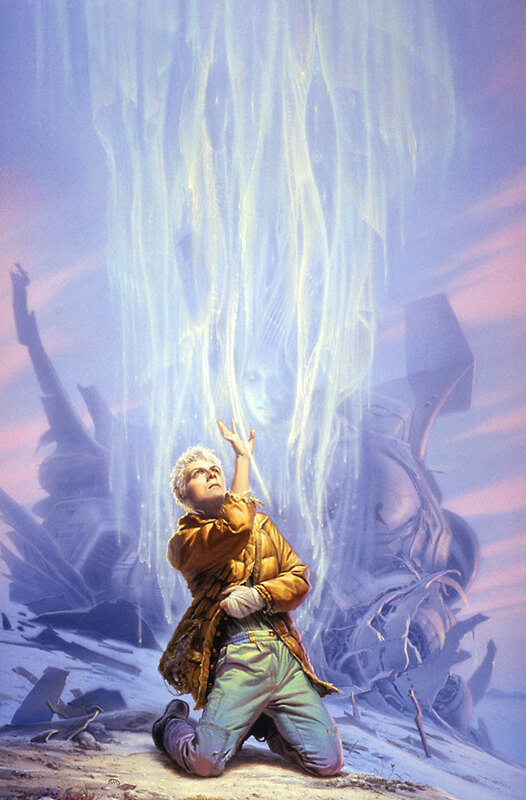 Science fiction artists are often called upon to portray ideas and themes that have no basis in reality (i.e., time travel, mind control, hyperspace, etc.) in their paintings. 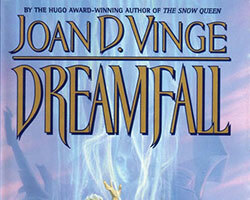 When Michael decided to do this scene for the cover to Joan Vinge's evocative follow-up to CATSPAW, he had to figure out a way to depict a falling irridescent rain of sentient psychic energy. There's probably no class for that in art school! Cat, the halfbreed telepath hero of Catspaw and Psion, joins a research team on Refuge, homeworld of his mother's people, the Hydrans. Immediately, he finds trouble when he helps a Hydran woman escape human pursuers. The decimated Hydran population of Refuge is confined to a bleak "homeland," by a huge corporate state, Tau Biotech. 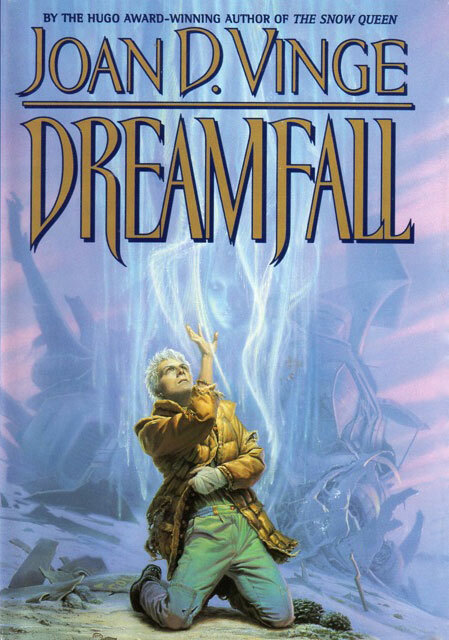 Tau also controls Refuge's one unique natural resource, "Dreamfall." The tangible residue of cast-off thoughts from beautiful, enigmatic "cloud whales," dreamfall forms vast reefs, sacred to the Hydrans, but mere exploitable data to Tau. Caught between Tau and desperate Hydrans who fight to reclaim their world, Cat must somehow forge the ruins of the past into a means to defeat Tau's brutality to save his people--and himself.